Subhash Chandra Khuntia, the former Karnataka Chief secretary has been appointed as Chairman of Insurance Regulatory and Development Authority of India (IRDAI). Khuntia will succeed T S Vijayan, who completed his five-year term in February. As per the government notification, the applicant for IRDA Chairman was required to have at least 30 years of work experience and should have served as secretary to government or at equivalent level in other institutions. Applicants from private sector were also eligible if they worked as a CEO or equivalent of a large financial institution. Subhash Chandra Khuntia, a 1981-batch Indian Administrative Services (IAS) officer has served in various government departments, including Secretary at the Department of School Education & Literacy, Special Secretary and Financial Advisor in the Ministry of Petroleum and Natural Gas, and held positions in Hindustan Petroleum Corporation (HPCL) and Indian Oil Corporation (IOC).He had taken over as Chief Secretary to the Government of Karnataka in October 2016 and held the position till last year. Born on November 21, 1957, the Karnataka-cadre IAS officer is a native of Jagatshingpur, Odisha. Mr. Khuntia is well-known as an up right IAS officer. His role in digitization and vision of introducing internet in various secondary schools have been well acclaimed. According to the order of the Appointments Committee of Cabinet, Khuntia will have a three-year term as Chairman of IRDAI. Subhash Chandra Khuntia has clearly stated that improving insurance penetration in the country and investor education would be among the key focus areas as the new Chairman of the Insurance Regulatory and Development Authority of India (IRDAI). While the insurance industry has seen double-digit growth in recent years, penetration of insurance, or the ratio of premium underwritten to the GDP in India, is still below the global average. According to the Economic Survey, insurance penetration in the country increased to a mere 3.49 per cent in 2016-17 from 2.71 per cent in 2001. 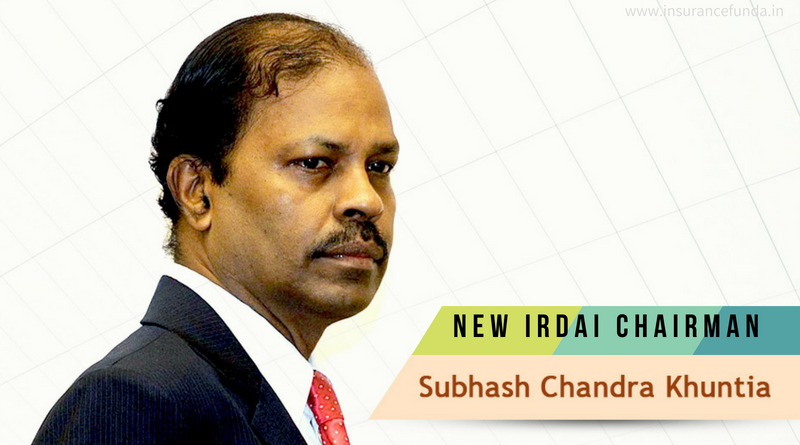 Despite the fact that insurance industry in India is apparently in a calm phase, new IRDAI Chairman will have to address several new challenges as well. “The move to the risk-based capital norms for fixing the solvency ratio of insurers and adoption of the IFRS 17 are two of the major issues for the industry,” as per R Chandrasekaran, Secretary General, General Insurance Council.